I have come to accept the scale and I won't be friends until babycake makes an appearance next year...and um, maybe not even after that. So, I'm embracing it and doing what any sane and normal person would do: baking as many Christmas cookies as my freezer can possibly hold. 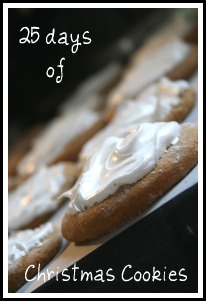 I have larger than life visions for baking old favorites and new cookie recipes alike. If you, too, plan to give your sweet tooth everything it ever wanted and more during the holidays, stay tuned.